I took my car to a local shop, VAspeed, to get some baseline numbers yesterday. The shop uses a dynojet. Here are the results. The first set is the uncorrected numbers and the second is using the SAE correction. The owner of the shop explained to me that for forced induction engines that the SAE correction factor is not accurate and that in most cases the Uncorrected numbers are closer to the actual. He explained that the SAE 1349 standard is set up to correct for naturally aspirated engines only. Forced induction engines only should be corrected for air temperature and humidity. Since forced induction engines create their own air pressure in the intake manifold pretty much regardless of the barometric pressure, correction for the atmospheric pressure is not necessary. If you use the SAE correction factor it could artificially lower or raise the results. Yesterday when I dynoed the air temp was 71 deg F, humidity was 8%, and the pressure was 30.42 in-Hg. The SAE correction factor was .95 mostly due to the high pressure as the temp and humidity were pretty close to the SAE standard. I thought I would share this with you guys and see what you all thought. I've already emailed the data to Ranger and he has already reformatted it to suite his needs. That’s about right, 16% drive-train loss. Not really. The point of the post was that the SAE corrected numbers are not accurate for this application. If you take a look a the run conditions most of the correction came due to the high barometric pressure which should not be corrected for in a forced induction application. Looking at the run conditions I would think a correction factor of .99 (or none at all) would be more reasonable instead of the .95 that was used if you were going to discount need to correct for barometric pressure. That would give you a loss of 12-13% which is closer to what people were seeing on the Z06. So you're saying the correction factor doesn't really apply to your car because it's supercharged...that would mean we should be looking at the 563rwhp number and not the 534rwhp number, right??? So given the SAE certified HP number GM has of 638 this would mean your car only has a less than 12% driveline loss, is there any reason you can think of that your car would have a more efficient driveline than 'normal'??? Why is it that people can't just be happy with the factory provided hp number, it's by far the most accurate number you're even gunna get. Of course once you start to modify, the factory number is no longer relevant, but getting a rwhp dyno number on a stock car is pretty dumb, particularly if all you're going to do is talk about it and not use it as a baseline tuning figure to build upon. Last edited by MTIRC6Z; 02-23-2009 at 11:10 AM. I'm not trying to say that the 'real' number is 563, but that it is probably closer to that than 534. Rather than the 0.95 SAE factor, maybe it should be somewhere between 0.98 and 0.99 to correct for humidity and temperature. Also, a 12% loss from engine to rear wheels is not unreasonable, my C6 Z06 had a 9.5% loss (Dynojet SAE corrected number of 457 hp). No, it should only be corrected for temp and humidity but not barometric pressure for forced induction engines per the SAEJ1349 specifcation. I estimate that the correction factor should have been .99 instead of .95 for the temp being under the 77F standard. Not sure if you have been paying attention but most of the C6 M6 cars have been in the 12-13% loss range. The Z06's dyno in the 440-450 range while the engine rating is 505hp and the LS3's dyno in the 370-380 rwhp range while the engine rating is 435hp. This is not just a theory but is part of the SAE specification. It is just that the dynojet software automatically adjust for barometric pressure when you apply the SAE correction. I agree that the factory SAE certification process is now the most accurate for the engine hp rating. Though it is not a bad idea to dyno a stock car just to make sure you got all that you paid for. Back in '99 they had problems with the Mustang Cobra producing very low rwhp numbers and Ford eventually had to admit that they were not making the advertised hp. ZOJeff, my father, also wanted to get some detailed data to give to Ranger for the upcoming private drag rental. Last edited by racerns; 02-24-2009 at 09:45 AM. So since the Z06 is rated at 505 and cars are putting down 440-450, you think 12-13% is the way it is for all manual cars? I bet you think gear ratio has no affect on the dyno either. The only real way to know is to pull your engine, dyno the engine alone, read it at the rear wheels, and then calculate. As for the 9%, that’s the most efficient car on the planet, grats. So since the Z06 is rated at 505 and cars are putting down 440-450, you think 12-13% is the way it is for all manual cars? No but that does seem to be the trend for Corvettes though and you pretty much can't deny it with the numbers being put down by stock Corvettes. I am not sure what your problem with the 457 dyno number by a stock Z06, that was not that uncommon. Do I really bellieve it was really only 9.5% loss? no not really just really good weather condtions that the correction factors did not fully adjust for. Also remember, the old rule of thumb for drivetrain loss (I always used 15% myself for a manual) came from before then new SAE certification process. 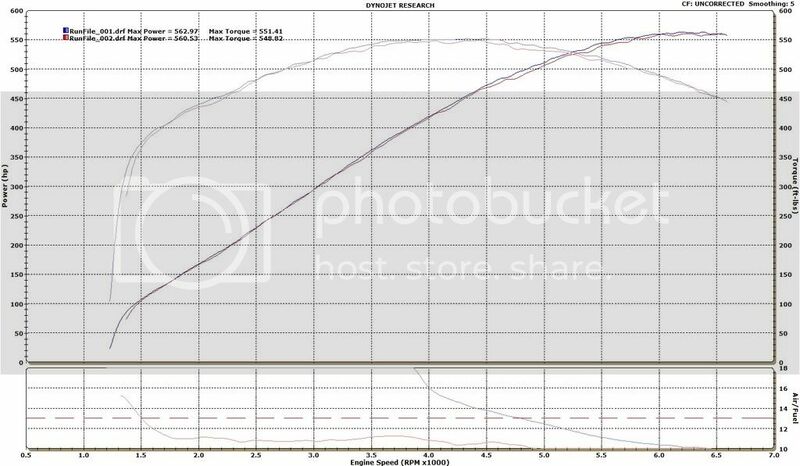 I am fully aware of what gear ratios can do to dyno rwhp dyno numbers as I have a new G8 that does not have a 1:1 gear to dyno in. I don’t have a problem with the dyno #s, mine put down 440 (corrected and 455 actual). It’s the continuous use of the 505 rated hp in ALL conditions that people derive their drivetrain loss from. So if the air was zero degrees and the engine was now producing 480whp, they would say “I only have 5% drivetrain loss”. Or if the engine happens to have more hp from the factory than average, they wouldn’t account for that (how could they unless they measure the engine by itself). Or what if GM underrated all of them. My point is I doubt the real world loss is only 9-13%. Mechanics is mechanics regardless of the engine rating system. 1 ZR1 (or Z06) doesn’t have 9% while another has 15%, they use the same drive line. I thought the zr1 uses a different clutch, transmission and differential than the z06... possibly making drivetrain loss greater? ZR1 clutch is twin-disc, probably a little lighter than the Z06, but I can't see it making much difference. 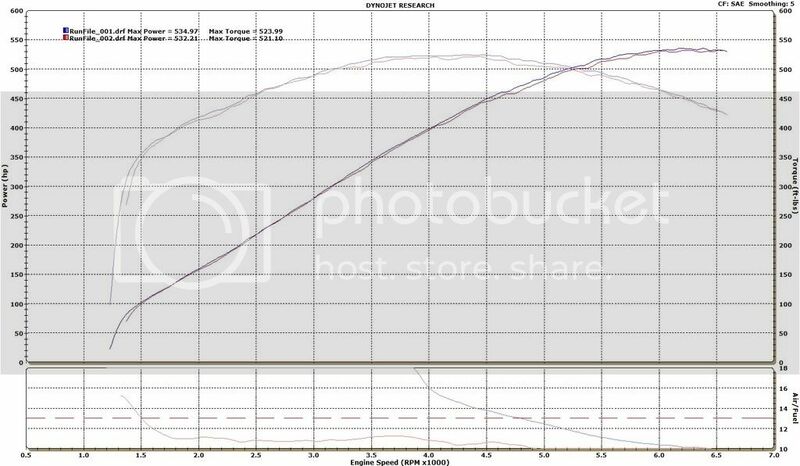 ZR1 trans is a TR6060 same as '08 and '09 Z06s, granted the ratios are a little different but 4th gear is always 1.00 and that's what's used to measure RWHP, so I can't see it making much difference. ZR1 diff has stronger cases, better bearing support and billet pieces where the Z06 is forged, but ring/pinion is the same as is the ratio at 3.42, so I can't see it making much difference. I know of a few of cases where Z06s (after being modified) were measured on an engine dyno and then later measured in the car, driveline loss was always in the 15-16% range. This is why I was sceptical about a loss of under 12% for the ZR1 in question. However if you assume a 99% correction factor then the RWHP becomes more like 557 and the driveline loss at least gets to above 12%. Interestingly if you take the fully corrected RWHP at 534 it ends up with a loss of just over 16%. Obviously, an aftermarket clutch, half shafts or some other beefed up parts will change parasitic loss a small amount, but I think it's erroneous to calculate using percentages in a very high horsepower build. Unless the drivetrain is COMPLETELY different, I would think the drivetrain is going to use roughly the same amount of horsepower to turn it no matter how much horsepower the engine in front of it makes. Your "inherent flaw" thought would have a little more merit in all the gears involved weren't helical, but even at that you'd still be mostly wrong. At best you could think the loss would be a fixed amount + a variable, but the amount that's fixed is small enough that just going with a variable is going to be pretty accurate. Point is, going with JUST a fixed amount (like your 50hp example) isn't even close to being right. Rotational inertia is constant. The more you try to create radial acceleration the more force you must apply. Thus the percent loss should stay the same. Last edited by PaintballaXX; 03-04-2009 at 11:43 AM. Nice numbers I'll have to see this car in person sometime.